When Sam's best friend Reagan dies after her heart suddenly gives out, Sam must learn to deal with her grief and ultimately discover who she is without her best friend by her side. Fourteen-year-old Sam thinks she has all summer to hang out with her best friend, Reagan. But then her life changes forever. Sam's world, once filled with school, basketball, and Reagan, has now abruptly changed and she must learn to navigate high school on and off the court without her best friend. But when Reagan suddenly "reappears," Sam clings to her friend's presence, even as it hurts rather than helps her grief. Can Sam learn to accept herself without her other half? This authentic, powerful story of friendship, grief, and discovering yourself is a can't-miss debut novel from Maura Ellen Stokes. Maura Ellen Stokes received an MFA in writing for children and young adults from Vermont College. As a lifelong athlete who coached girls' soccer, she often incorporates sports into her fiction. When she's not writing, she works as a biostatistician. Stokes is a New England native who now lives in Chapel Hill, North Carolina. 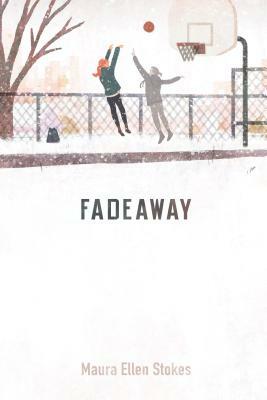 Fadeaway is her debut novel. In Maura Stokes's debut novel, Sam has to muck her way through the most heartbreaking and inexplicable loss of her young life, not realizing the gift this transformation will give to her. This story is not only about the redeeming power of sports and teammates, but also the embracing power of love. And for both Sam and the reader, that, too, is an undeniable gift. A great friendship story. A fine basketball story. A deep story of loss. What a fresh and authentic voice we have in Maura Ellen Stokes!